From King Toot's Holiday Album Bargain Bin! Bigger Than Baby Jesus!! 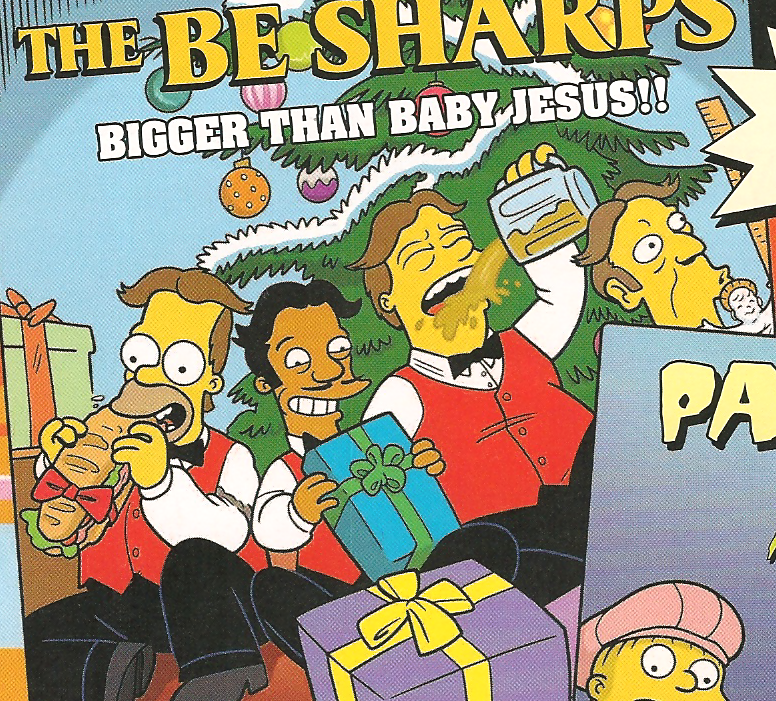 is an LP album with parody Christmas songs by The Be Sharps. The album is on sale at King Toot's. It features the songs "Santa Baby on Board", "I'll Be (Sharp) Home For Christmas" and "Hark! The Herald Angels Hear Us Sing (And Love US)!". The album title is a reference to The Be Sharps' second album, Bigger Than Jesus and a 1966 quote from John Lennon about The Beatles' having become "more popular than Jesus". The song "Santa Baby on Board" is a pun on the real-life song "Santa Baby" and The Be Sharps' biggest hit, "Baby on Board". Comic story – From King Toot's Holiday Album Bargain Bin! Modified on April 3, 2014, at 17:29.